Ellie Krieger will be a guest speaker at the Olive Oil Conference in the Chicago area on July 20, 2017. Ellie is the host and executive producer of the Public Television cooking series “Ellie’s Real Good Food,” and well known as the host of Food Network’s hit show “Healthy Appetite.” Ellie Krieger is the leading go-to nutritionist in the media today, helping people find the sweet spot where delicious and healthy meet. Ellie Krieger is a New York Times bestselling, James Beard Foundation and IACP award winning author of five cookbooks. Her most recent is You Have it Made: Delicious, Healthy Do-Ahead Meals (Jan 2016). Ellie is a weekly columnist for The Washington Post and she has been a columnist for Fine Cooking, Food Network magazine and USA Today. Ellie speaks regularly at events around the country, appears on national television shows, such as Today, Good Morning America, and The Wendy Williams Show, and has been featured in magazines like Better Homes and Gardens, People, and Self, to name a few. A registered dietitian who earned her bachelors of science in clinical nutrition from Cornell and her master’s in nutrition education from Teacher’s College Columbia University, Ellie has been at the forefront of First Lady Michelle Obama’s “Let’s Move” campaign from the beginning when Mrs. Obama’s team invited her to head up a nutrition education initiative at the “Healthy Kids Fair” on the Whitehouse lawn. Here is a segment of Ellie on “Ellie’s Real Good Food,” where she demonstrates how to make a simple Red Wine Salad Dressing using just 3 ingredients. 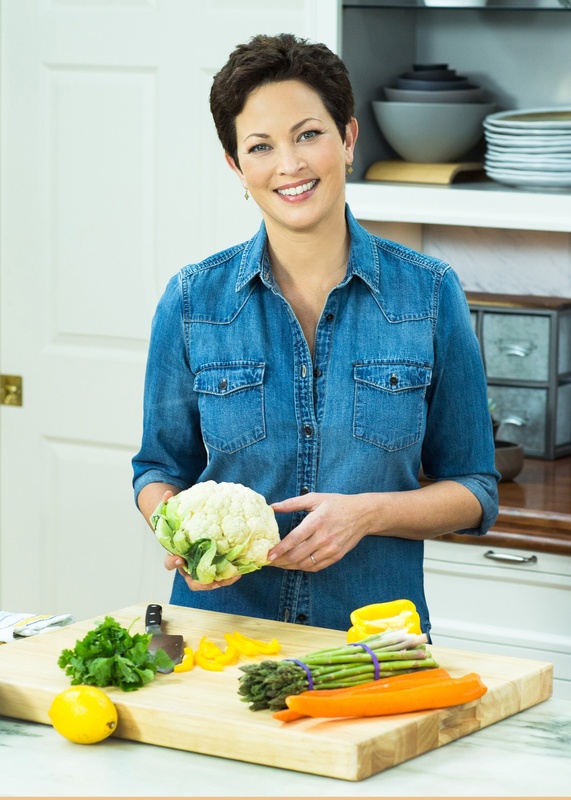 Attendees of the upcoming Olive Oil Conference will have a chance to meet Ellie Krieger who will give a talk on "How Olive Oil Compliments Food and Health," with a cooking demonstration highlighting olive oil nutrition benefits.